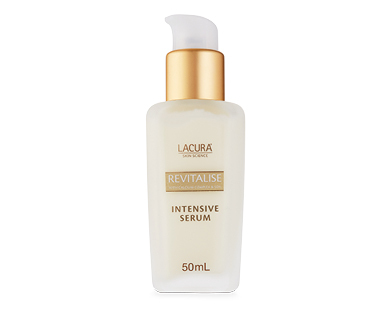 LACURA® Skin Science Revitalise Multi intensive Serum, with Soy, formulated for mature skin. With a Calcium Complex Argan Oil, Soya Lipids and Coenzyme Q10. Contains soy protein to help support skin regeneration. Specially formulated for Women 50+.